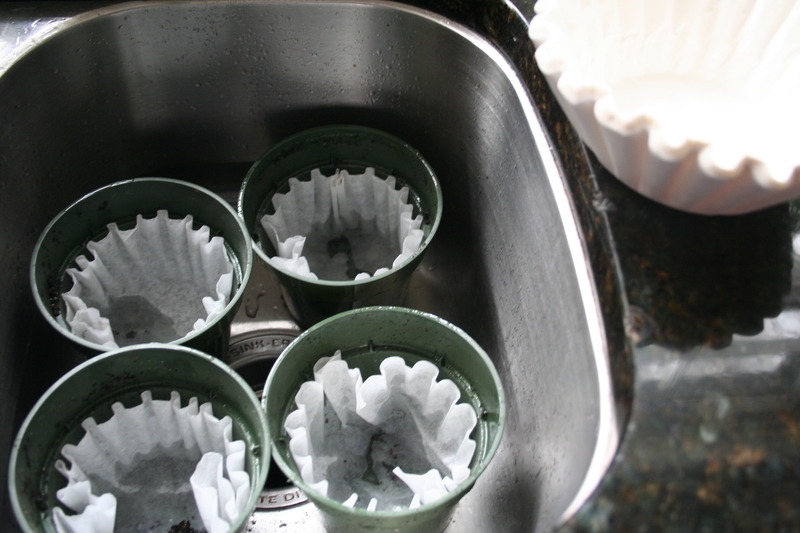 Posted on April 3, 2012, in HOW TO GROW and tagged filters, moving seedlings, pots, Potting seedlings, Seeds. Bookmark the permalink. 1 Comment. A potting shed not only keeps all your sepulips close at hand and keeps the mess out of the house, it lets you get a jump on the growing season. Timing is everything. Order your seeds in the depths of winter and know your climate. If you start too early (and your shed isn’t heated) it’s worse than starting late. Some folks use fluorescent lights to coax their seedlings up to the date after the last frost. Tip on tomatoes: if the soil temperature is under 50 degrees F, your plants (unless a special variety) won’t take off and you don’t really get a jump on the growing season. But lots of other vegetables and ornamentals benefit from early planting and protection in a potting shed.